Noxwin is a young bookmaking company, which began operating on a betting market in 2007. The bookmaker performs its activities under the license received on Malta. The bookie operates internationally, however registration is denied for residents of France and USA, because of the legislation of these countries. 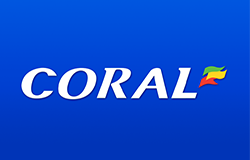 Within the years of its operations, the company has proved itself to be a solid middle-class bookmaker, compared to the bookies from the Western Europe. Below you can find some quick links to navigate around the article about Noxwin. Noxwin's money line and odds look pretty similar to the line and odds of OddsMatrix, another betting company, so we can probably say, that they cooperate on some level or being sister companies. The bookie treats professionals with caution, even though it claims that welcomes every player on its website. 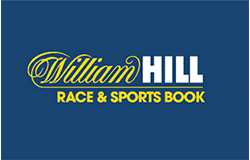 The market of interest for the bookmaker is Eastern Europe, however it doesn't hold any powerful promotional campaigns there. Almost every month, Noxwin company puts over 30 thousand events in their money line both on sports and non-athletic events. No more than 500 events appear in the live betting section. It isn't hard to guess, that this number includes only popular events. 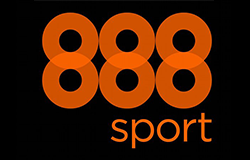 Punters can bet on such kinds of sport as football, basketball, tennis, volleyball, hockey, handball, alpine skiing, cricket, darts, boxing, MMA, golf, horse racing, rugby, snooker, American football and some other sports. The depth of the line is also pretty good, giving about 20-30 positions to bet per event. The action line depth depends on popularity of the sporting event. The bookie may deepen the action line on the most popular sports up to 120-150 positions. Champions League, Europa League, EPL, La Liga can be considered as such. As for bonuses and promos, Noxwin has a special section on its website for those. Of course, there is a 50% welcome bonus offer up to 75 Euros. To get one, newly registered players just have to make their first deposit. 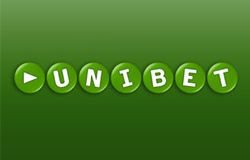 The bookie also gives away 10% sports betting bonus up to 100 Euros for every deposit. There is a great one-hour withdrawal policy on the website, where players can get their winnings within just 60 minutes via great number of payment systems. Some bonuses regarding Noxwin's casino are present too. 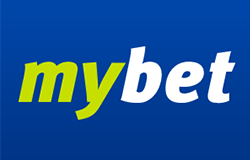 The bookmaker doesn't provide a special mobile app to bet on the go, but it has a mobile version of the website, which looks really simple and convenient, offering the same events to bet on, as the main website. The sports are divided into sections for more swift navigation. There are also sections by type of bet. There is no separate application for Noxwin's mobile casino either, but it is available on the same mobile website of the company. Noxwin offers both regular casino and live casino. The casino has a number of popular games and slots to play, as well as fan-favored table games, like blackjack, roulette and others. Another interesting feature is mobile darts. Initially, Noxwin offered only NetEnt games to play on its portal, but recently they've added a collection of popular games, developed by Microgaming. All of the games can be played directly through a browser. No downloadable version available. Random number generators have been tested by independent auditors, who also control the portal's operations. Noxwin's casino includes over 600 games of the aforementioned NetEnt and Microgaming, as well as some developments of OMI company. The portal has very convenient navigation system with the option to sort games by different parameters. The games can be sorted by genre, personal preferences, jackpot availability, popularity among other players, novelty or simply by alphabet. Most of the games are multifunctional video slots and classic slot machines, although card and table games and even arcade games are widely represented too. Progressive jackpots can be won not only in slots, but other types of games as well. The games are allowed to be tested in a free demo version without the need to register. Noxwin offers the following extra services in addition to their sportsbook. Noxwin supports the following languages. 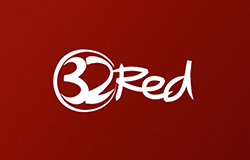 This bookmaking company has a number of advantages, but it is not better than your average bookmaker from Western Europe. Noxwin bookie would be fine for novices, amateurs and bonus hunters because it cannot offer anything interesting for professionals. It is up to you to decide whether to play at Noxwin or not. We wish you good luck in your future bets and let the good profit always follow you.